Capturing the Little Miss title was Anna Lisenby with Hannah Frelin, first runner-up and Jane Walker Yonce, second runner-up. 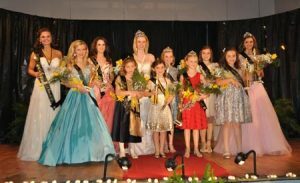 In the Young Miss category, Allison Burnett took the crown; Jordan Williams took first runner-up, and Ashland Yonce placed second runner-up. 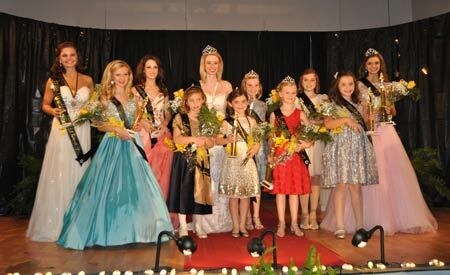 Rebekah Knowles won the Junior Miss division with Reagan Creasy as first runner-up. Receiving the Miss Wardlaw crown was Senior Carrie Ann Quarles with Nicole Jackson taking first runner-up and Hannah Abernathy placed second runner-up.The winner for the most sponsor dollars in the Lower School ,Hannah Frelin; Nicole Jackson raised the most dollars in the Middle/Upper School division. The photogenic winners were: Allison Burnett, Lower School and Nicole Jackson, Middle/Upper School.